Dr. Timothy Harlan has counseled thousands of overweight patients searching for weight-loss answers. He noticed that patients were usually told what they could not eat, rather than all the wonderful foods they could eat. Now, physician-chef Harlan provides a solution: an exact prescription for what to eat, how to cook it, when to eat it, and, best of all, why eating great food is the best health decision you will make. 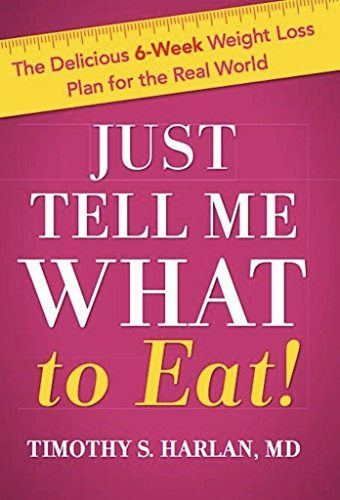 With chapters like “What You Should Eat for Breakfast,” “How to Arrange Your Dinner Plate,” and “Carbs are Good for You Too!” this unique day-by-day plan will help even the most frustrated dieters achieve a slimmer, healthier, and happier lifestyle.